Make sure your clothes are not too tight, too revealing, or too baggy. If you have a question about whether your attire is inappropriate, don’t ask a friend to confirm your choice. Just change your outfit. Also avoid wearing too much jewelry, perfume, or aftershave lotion. Show kindness to everyone you meet. You want to make a good first impression in all encounters, not only for kindness’ sake but also because those on the front lines may share their perceptions about you with hiring decision-makers. 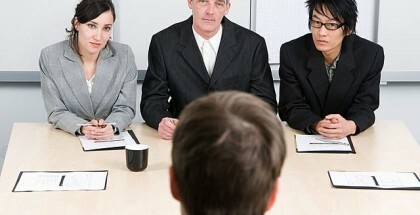 Though most interviewees wouldn’t intend to be insulting or insensitive, you might accidentally say something you regret. Avoid conversation starters using too-casual or off-color slang or make comments about personal appearances, politics, religion, or controversial topics. Don’t act like you know everything or you will seem arrogant. But certainly read the organization’s website and relevant news so you can talk intelligently about the company. You’ll want to bring hard copies of your resume, references, and other job-search materials to the interview. Carry these in a portfolio for a polished look. Note that the response should be more substantial and insightful than “to interview for a job.” Tell the interviewer why you are excited about the prospect of joining this particular organization. Briefly explain how your expertise could contribute to the company’s success.